Cedar Hollow offers ski-in ski-out Whistler townhomes with access to both Whistler Mountain and Blackcomb Mountain, along with beautiful furnishings and upscale amenities. Nestled amid lush forest and within easy walking distance to both Whistler Village and the Upper Village, these mountainside townhomes offer plenty of privacy in a picturesque setting. Cedar Hollow features high ceilings and an open floor plan, with modern and convenient kitchens and several private decks. 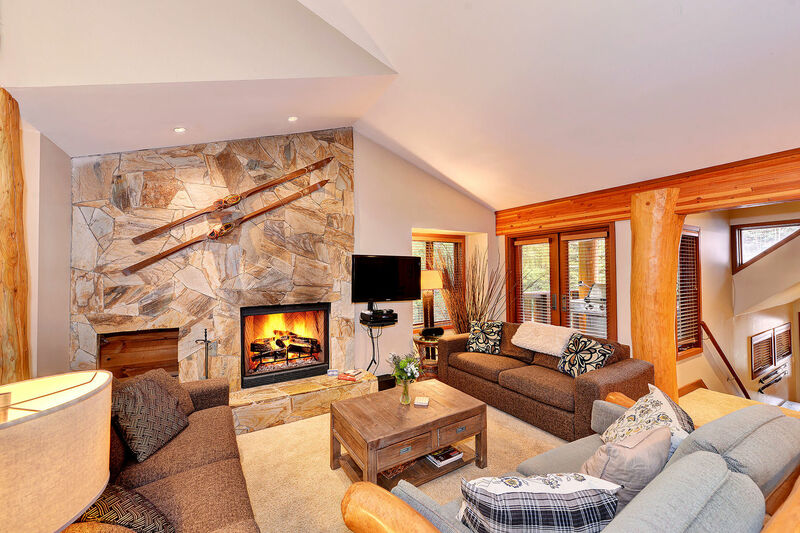 Many of these Whistler rentals feature a cozy stone fireplace and a private hot tub. Guests have the option of 1 to 4 bedroom units, and some 3-bedroom units have a loft or a den. The convenient ski access for Cedar Hollow is via “Village Run,” which provides access to Skiers’ Plaza and both of the Whistler and Blackcomb gondolas. Secure garage parking makes Cedar Hollow a convenient option for any Whistler vacation. With privacy, big views, ski access and walking distance to Whistler Village, Cedar Hollow offers lodging with everything you could ask for.